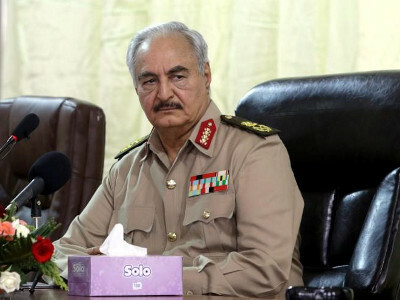 A jet from Khalifa Haftar’s east Libyan military forces intercepted a civilian plane as part of a push to control the oil-rich south of the riven nation, the faction said. Haftar’s Libyan National Army (LNA) began an offensive last month to fight militants and take control of oil installations in the south and has banned flights without its permission. In a statement, the LNA said it scrambled a jet after a plane took off from El Feel oilfield without permission and forced it to land near Sabha. The Tripoli government protested the interception, saying the Libyan Airlines plane was carrying oil workers. The LNA, allied to a parallel government in Benghazi, wants to secure El Sharara oilfield, Libya’s largest and occupied a pumping station 20km away, according to a field engineer. The Tripoli government, striving to reassert control of El Sharara, sent troops, a source from the administration said.